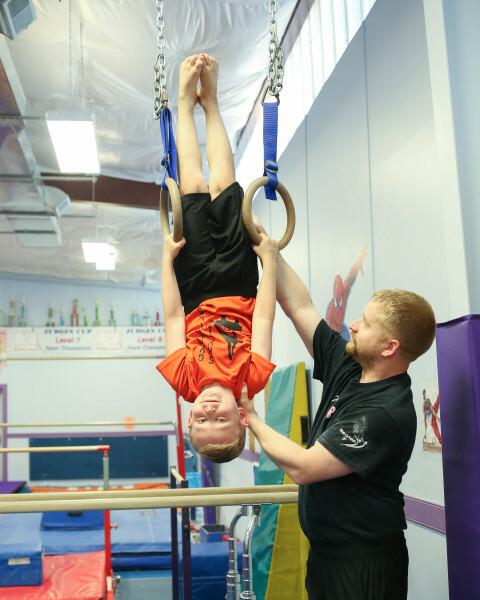 Gymnasts will work on rolls and handstands on floor, swings on bars and strength holds on rings plus parallel bars, vault and trampoline. It is a great class to build strength coordination, discipline and run off some extra energy. Roundoff on floor and advanced vaulting techniques, skin the cats and inverted hangs on rings. Swings and dismounts on parallel bars and back hip circles on horizontal bar. Mushroom is used and the pommel horse circle is introduced. These are just some of the skills that will challenge the boys in Level 2. Boys must have a strong foundation in gymnastics on all events to join this class. More advanced skills and combinations are taught. Instructor recommendation or evaluation is necessary to enroll.